Updated on October 14, 2015: How to get more Twitter followers method 4- Reply to Bigger Brands, Method 5- Write Guest Posts to get more followers on Twitter, and Method 6- Buy cheap followers on Fiverr for as low as $5 for 10,000 followers. One of the cheapest ways of getting more Twitter followers is by increasing how many people you follow. There are a lot of people on Twitter who will follow you back, just because you are following them. I don’t expect big names to do it, but the average joe, might. That said, in my experience up to 20% of the people I follow will follow me back. So, how do you decide who to follow? Read our How to Get Local Active Twitter Followers article if you are looking for local leads or customers on Twitter for your business. Search for a keyword- this is what I usually do. I search for a keyword or hashtag, put it in the search on the top of twitter, then, on the search page, I click people from the options in the left hand column. Now I have a full list of people to follow on Twitter, by the next day you should see some return follows. The goal is to get people to follow you that are interested in doing business with you, buying from you, or talking about you. What do these people have in mind? What common word might be in their profile? For example, if I want to connect with dog trainers, I could search dog training, dogs, dog trainer, etc. Chances are you already know of a few people in your industry on Twitter, check out their profile for keywords and their history of tweets for hashtags to use, now search for these keywords and hashtags to follow more people just like them. I like this option to help me find active people. Instead of looking at just the people who’s names come up, I look at the Tweets and click each person’s name, now I can be sure they aren’t inactive accounts just wasting my time. When you login to Twitter you will see along the top of the screen some options. One of the options is #Discovery. If you click here you will get another list of options on the left side of the screen. The third option down is “Who to Follow”. Based on your history, your tweets, and the others that you already follow Twitter is making recommendations on who to follow. This is the easiest option to find new followers, but the list Twitter provides isn’t always long. You can login a couple of times a day to check it, or work on your following each day by checking this list, it might look more natural to do it this way. This is my favorite way to find targeted people to follow, and get them to follow me back. Chances are, your competition is already on Twitter, or at least someone is that has a following of people with the same demographics as you. Find them, and click on their number of followers. This is a list of all of the people that are following them. Now you can go about following these people, and getting some of them to follow you back. The only downfall of this is that you will come across several inactive accounts, but you can weed them out with Manage Flitter in a week or so. I like this method though because your new followers will already be interested in the products and services you have to sell. Bigger brands have many followers and you can actually make them your followers by replying to their posts and updates. It may seem doubtful but big brands do reply back! Therefore, if a big brand like MacDonalds asks you about their new range of burgers, post a tweet. In a matter of minutes, you will find your number of followers increase. Most of them are fellow MacDonald fans. You can also do the same for Disney and rely to its query of how you find their theme parks for instance! When you click on Tweets on the Web Version of Twitter, you get to see the names of public Twitter users that reply to the posted tweets. You just have to click on “expand” to see these replies. So, if they like your reply, you can go a step further and give them a relevant link that they would find interesting, they might follow you back! Remember, when you do this, target brands that are not in direct competition with your business but still cater to a similar kind of client base. Do you know that writing a guest post has more than just getting back exposure, SEO backlinks and creating relationships? You get followers from awesome people and most of them are on Twitter! Choose sites where you can write guest posts and tweet them. Choose a relevant topic that will interest readers. The main target is to educate them and create awareness. The guest blog should be easy to read and understand. We don’t recommend you to buy followers, since the followers you buy are usually bots or massively created spam accounts. But in case you are looking for a way to make your follower number look good, we recommend you to search the providers on Fiverr. It is a popular site that allows you to buy a service starting at $5. Search keywords “Twitter followers” and look for the sellers who have a lot of five-star reviews. If you don’t target at the USA followers, you can find some very cheap gigs which provide you 10,000 worldwide followers for only $5. The USA followers on the other hand, usually are no more than 1,000. There is no such thing as “permanent Twitter followers”. No matter where you bought them, Fiverr or any other over-priced websites, the followers will drop over time. There is no “real followers” for sales. Don’t believe those sellers who promise you to “Add Real Twitter Followers”. 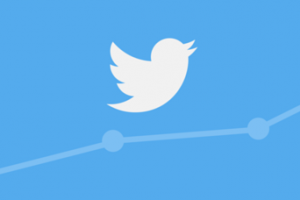 Everyone is going to see a different percentage of new followers from this, but combining this with an active presence on Twitter will definitely increase your following, and therefore traffic and leads (if you have a funnel set up to do so). If you use any of these methods let me know below, I can’t wait to see how well you do to get more Twitter followers. I just tried a few methods for adding more targeted Twitter followers. My engagement went up with the new followers.